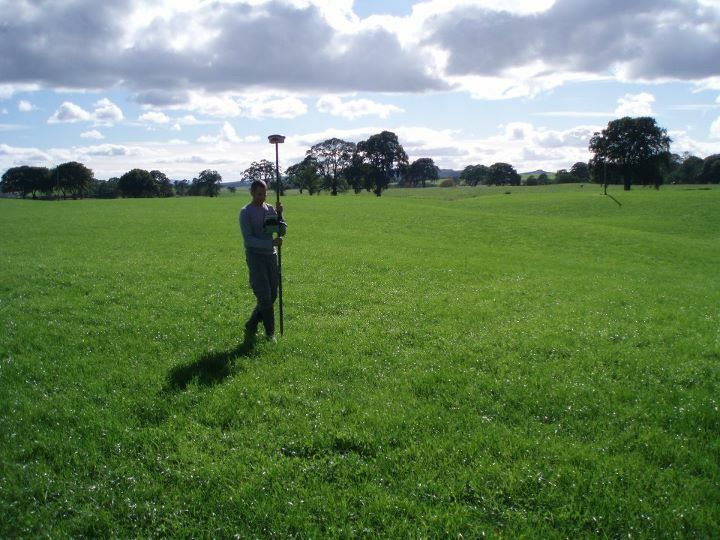 Although the prehistoric sites themselves are what first drew us to this location, the project is also interested in the landscape at Lochbrow, the relationship of the sites here to their location, the use and development of the landscape and long-term relationships to place. This is because sites such as those at Lochbrow cannot be separated from their surrounding landscape, but were built in relationship with and out of an engagement with their topography and location. Additonally, the landscape has altered considerably since the sites and monuments known here were constructed. One of the ways we are approaching this is to undertake topographic survey, which allows us to measure and map the surface of the ground. The topographic survey was carried out with a Leica 900 differential GPS.